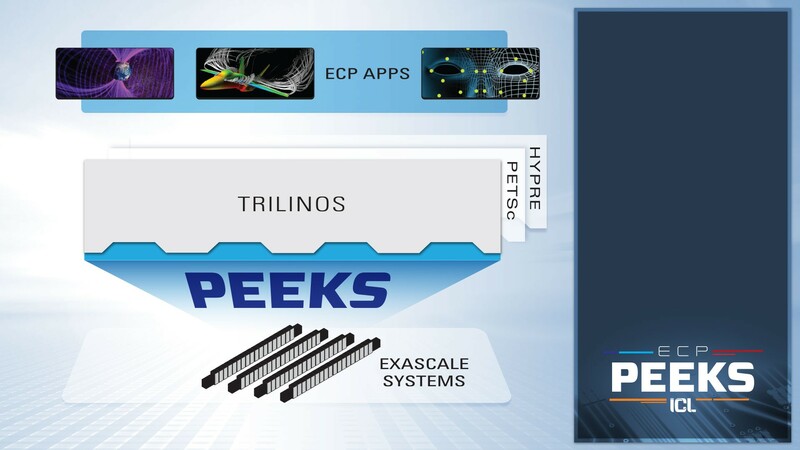 The PEEKS project focuses on the production-quality delivery of next-generation latency-tolerant and scalable preconditioned iterative solvers. The project will advance the capabilities of the ECP software stack by making the scalable algorithms developed under the former EASIR project, and currently implemented in the MAGMA-sparse part of the MAGMA software library as well as prototype codes, accessible within the Trilinos ecosystem. It will design next-generation linear solver APIs supporting latency-tolerant and highly concurrent algorithm implementations and standards. It will also provide production versions of scalable preconditioners/solvers under standard APIs via Trilinos, such as pipelined and communication-avoiding (s-step) Krylov methods.